* Children will enjoy redeeming their coupons for special privileges and activities, including a day of outdoor exploring, one night of popcorn and movies, a backyard campout, a chore-free day, and much more. 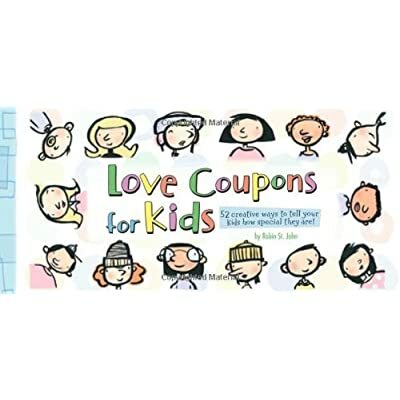 * Endorsed by Santa, the Easter Bunny, the Tooth Fairy, and parents alike, this children's coupon book is actually fifty-two gifts in one.Both parents and children will enjoy trading coupons with this clever booklet that encourages and rewards good behavior. Fifty-two cheerfully and colorfully illustrated vouchers offer creative ways to teach, inspire, delight, and praise. Conveniently perforated pages can be tucked inside a stocking, added to a lunch box, or even slipped under a pillow. Parents could even give the entire book to teach children the value of budgeting their rewards.